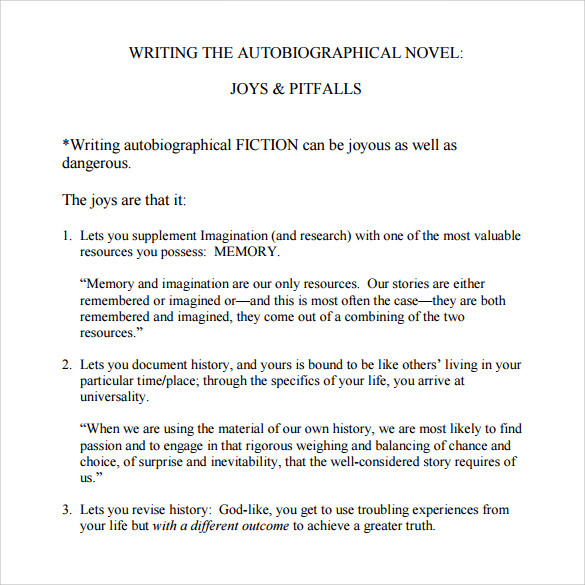 Autobiography is a personal story where the writer shares his or her personal experience of life. it is based on facts and every person has something interesting to share with his or her readers. The writer share his or her childhood, professional success, relationship ups and downs and finally the life’s experience. You can check out different Autobiography Template from which you can choose the best one. The template is easily available online and you can download in pdf and word document form and customize the text and structure as per your choice. A good autobiography template always attracts the readers. 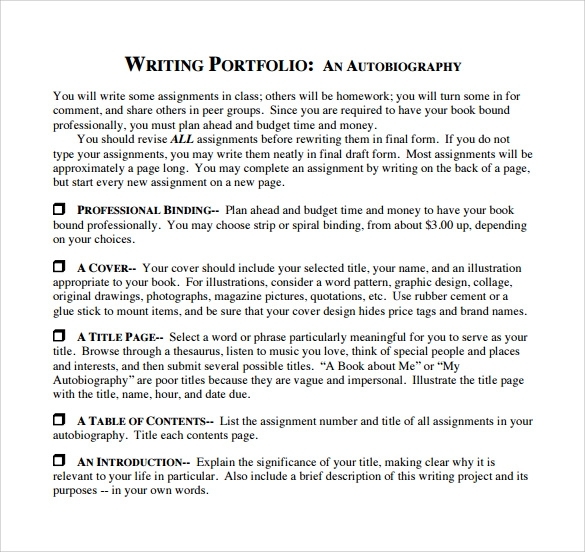 Sample Autobiography template is used to create assignments where students are asked to document their autobiographies. The templates have different placeholders where the user has to fill in details. The placeholders have instructions on how to present the content in them. The design is simple and can hold detailed autobiographies. 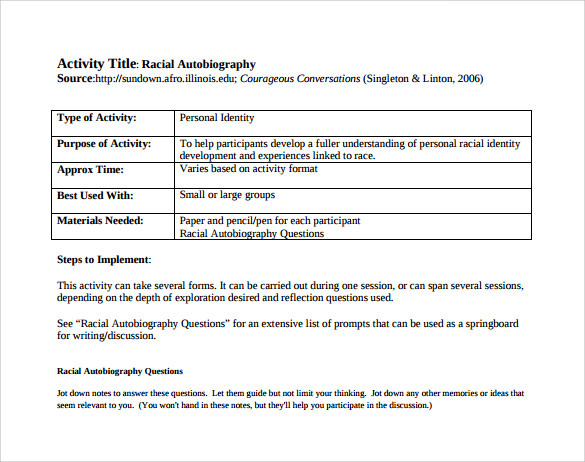 Simple Autobiography template is used to explain the meaning of the term autobiography. 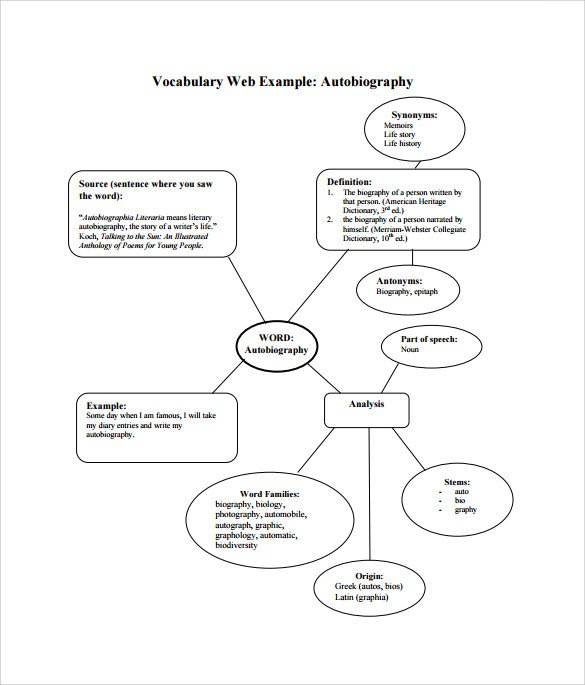 The word ‘Autobiography’ is analyzed by students in terms of its origin, source, antonym, and an example. The template is a pictorial diagram with placeholders. 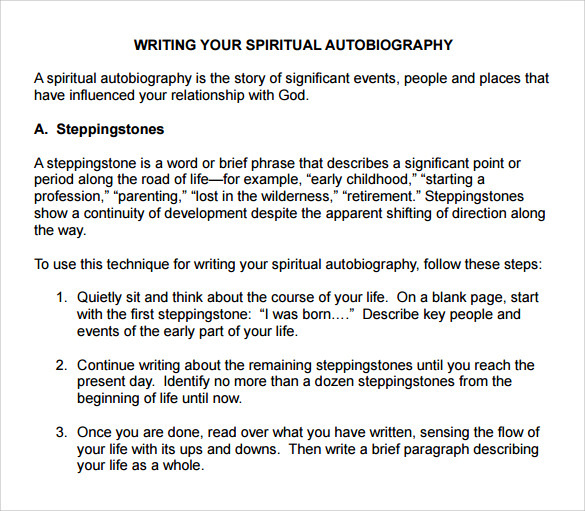 Spiritual Autobiography template is used to write an autobiography citing significant events, people, and places that has influenced the user’s relationship with God. The template has placeholders with specific instructions on what information to fill. The template is one of a kind because it captures the spiritual journey of a person. 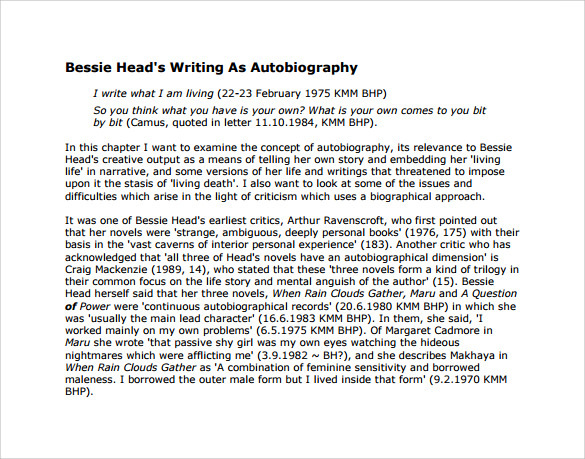 Autobiography Template to download template is used to score written autobiographies. The different sections of the autobiography like Introduction, Sequence of Life Events, Accuracy of sourced mentioned are rated on a scale of 1 to 4 and the total score is derived. The assessor can put in his comments for the rating given. Why do you need Autobiography Template? 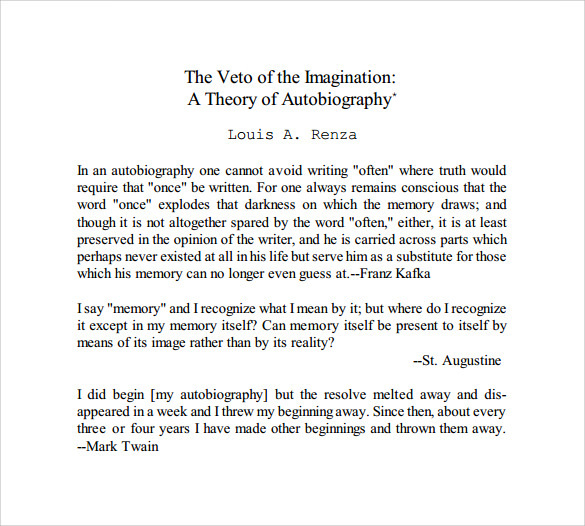 Autobiography Template is used to write autobiographies or documents related to autobiographies. With the help of readymade templates, it is easy and less time consuming to create a document. The templates are mostly in PDF or Word format. 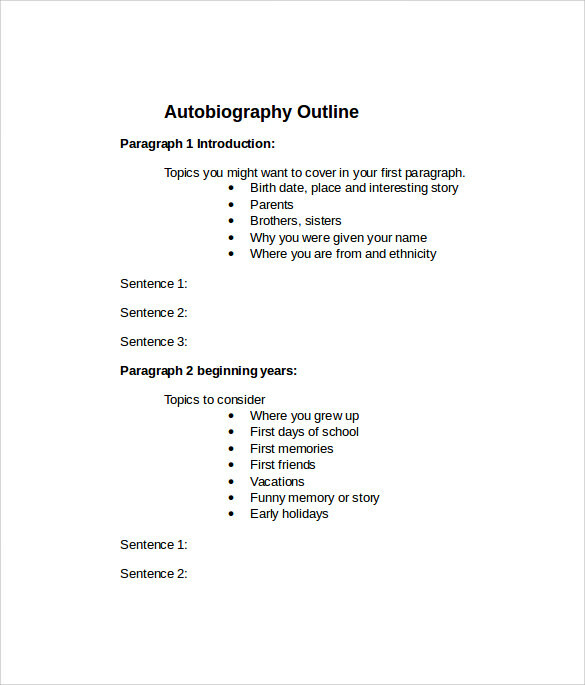 When do you need an Autobiography Template? Autobiography Sample Template is needed for writing different types of autobiographies and autobiography related documents. A template is used when a document is to be designed in a quick manner. The user can pick the appropriate template as per need. 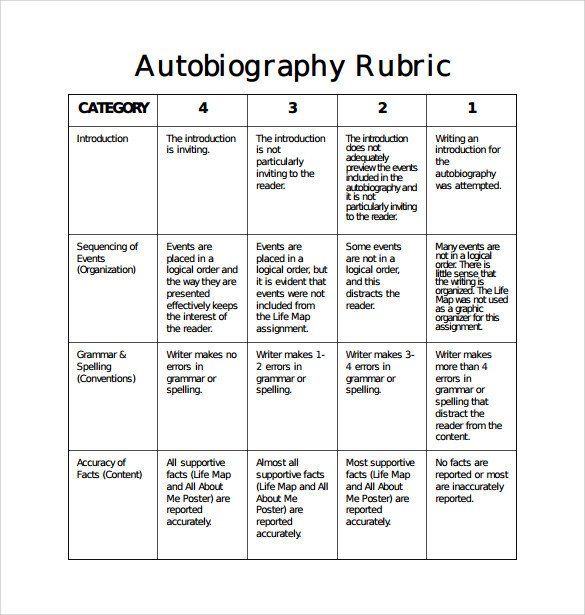 Autobiography Template allows individuals to create autobiographies and autobiography related documents like an autobiography rubric that helps to rate an autobiography document by written another person. The templates help the users to fill in the information in an organized manner as autobiographies are very detailed in structure. It is indeed a nice idea to use specially designed templates for creating autobiographies. 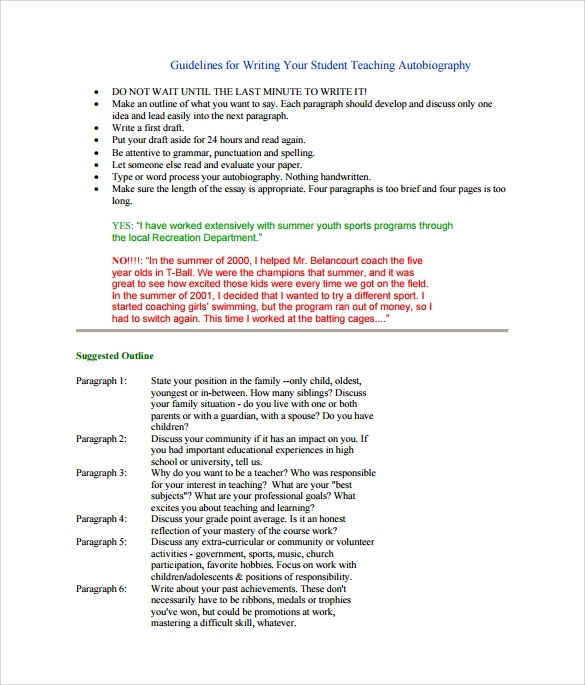 These templates save time as autobiographies are very detailed and need to be written in an organized manner. The templates also cut costs as the same template can be used multiple times for similar purpose.